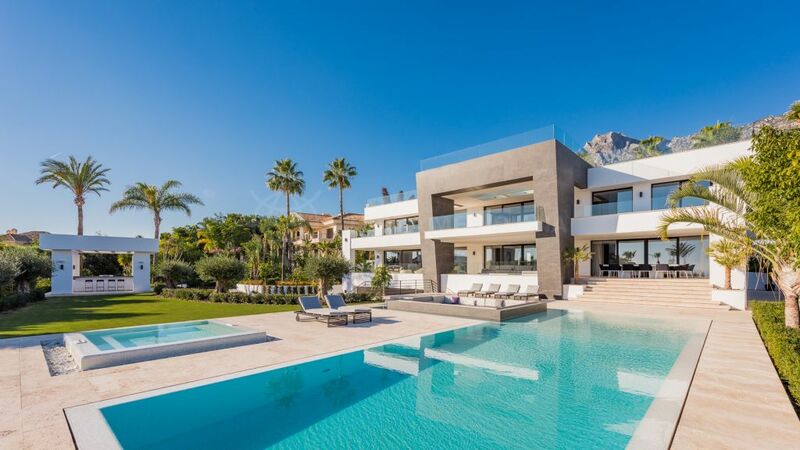 Situated on the quintessential Golden Mile in Marbella, this exceptional property is an elegant representation of contemporary Spanish architecture meticulously designed by renowned Villarroel-Torrico international architectural studio. 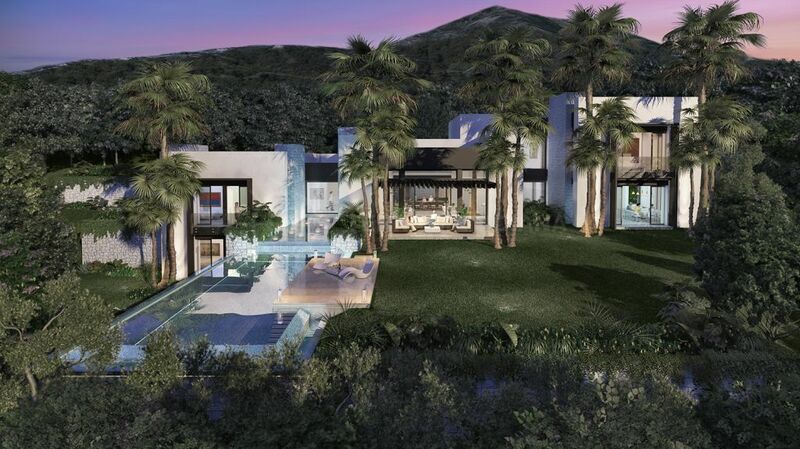 This refined private oasis is built with the finest of materials with an interior boasting an abundance of natural light with large floor-to-ceiling windows which perfectly integrate indoor and outdoor living. The main floor is carefully conceived with the main entrance, large living room with fireplace, a dining room, an innovative fully equipped kitchen with Gaggenau appliances, an additional kitchen area for staff, and 2 bedroom suites. 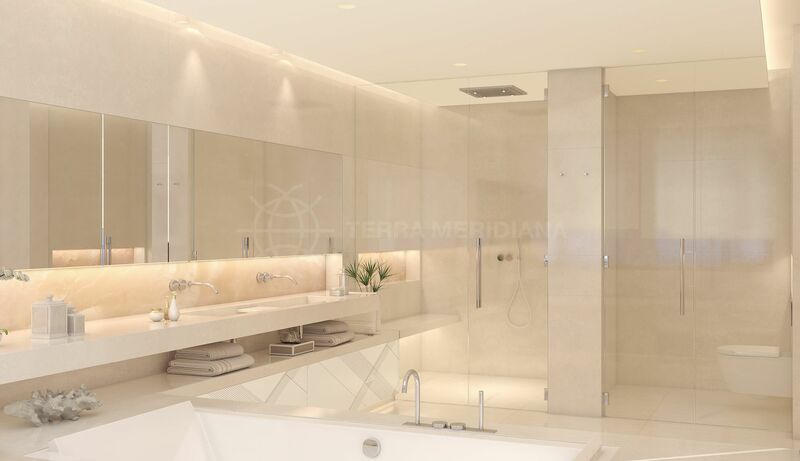 The first floor comprises 3 guest suites with dressing rooms and terraces, and the spacious master suite with ample dressing room, private terrace with solarium and chill-out area. The lower level offers 2 guest bedrooms sharing a bathroom, a spa area which features a sauna, Turkish bath, and gym. 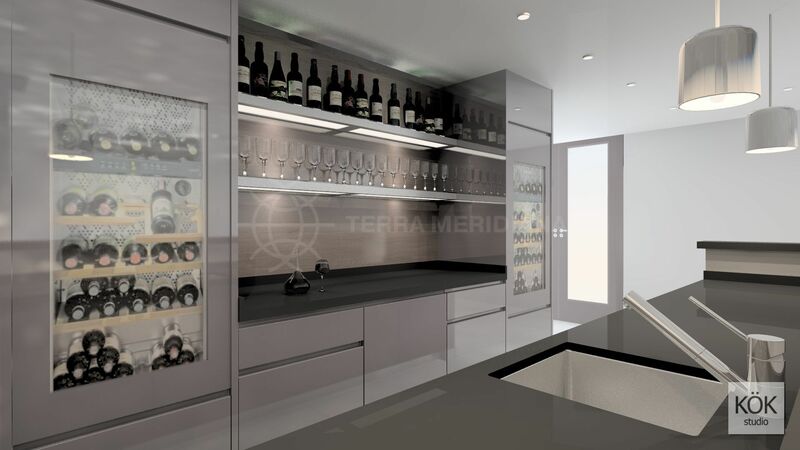 There is also a bar/ cinema room, lounge area with an indoor pool, a 4 car garage, wine cellar, an additional bathroom, laundry, and a storage room. 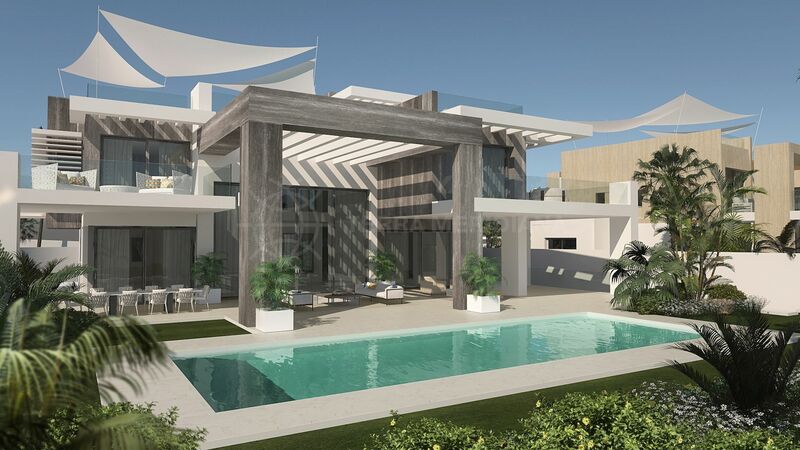 Located in the quiet residential neighbourhood of Rocio de Nagueles close to all amenities and an array of outdoor activities which include golf, hiking, tennis and watersports. 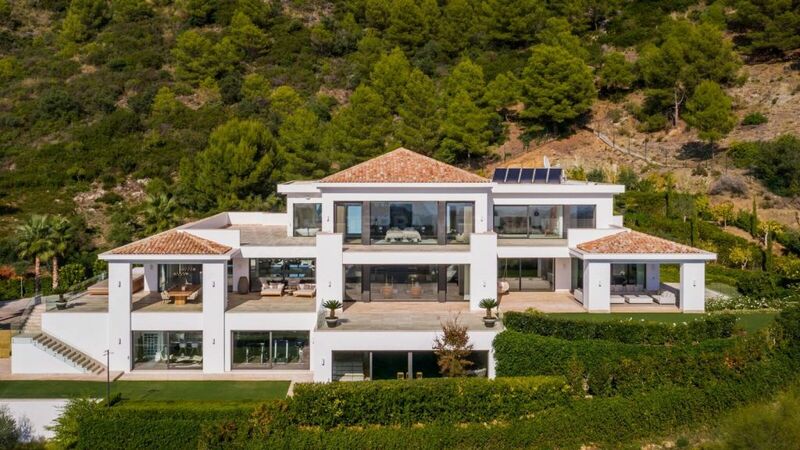 Approximately 6 minutes to El Corte Inglés supermarket by car and 9 minutes to the charming old town in Marbella with its gourmet restaurants and upscale boutiques. "A fabulous property boasting luxury and location." 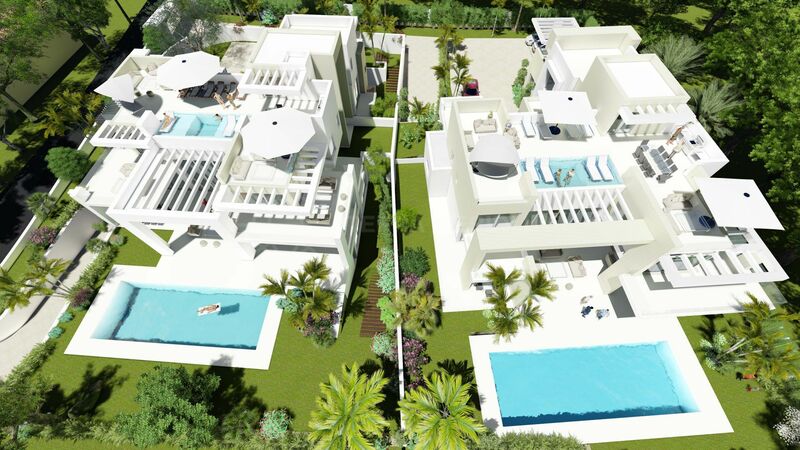 Please, send me more information about ref TMNV0715, Villa in Rocio de Nagüeles, Marbella Golden Mile or similar properties.